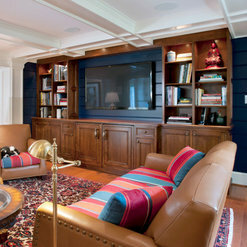 Founded by Phares Rutt in 1951, in Goodville, Pennsylvania, Rutt HandCrafted Cabinetry has set the standard for luxury custom cabinetry for more than 60 years and created a unique position as the manufacturer of high-end custom cabinetry. 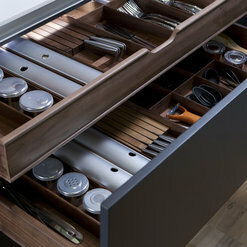 Rutt’s attention to detail, architecturally correct features, finishes and wood species has gained them a reputation as a design innovator and the Creator of Timeless Originals®. Rutt has always been known as the “master” of traditional design and is best known for their detailed, traditional custom cabinetry collections. Over the past several years Rutt has expanded their line to include some transitional and contemporary styles as well. 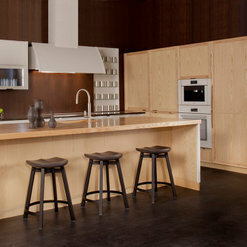 Rutt HandCrafted Cabinetry is available exclusively through our network of Authorized Dealer Partners. 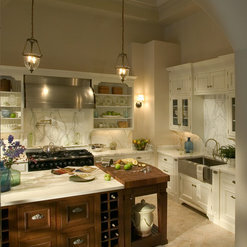 To find a designer near you visit http://www.ruttcabinetry.com. 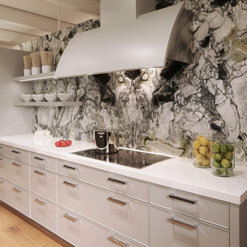 Rutt Kitchen by Main Street Cabinet Co.
What remarkable cabinetry Rutt makes! My company represented Rutt for it's first 16 years, made some changes, and then returned to them in 2007. We have built some remarkable projects together over the years, and my clients are always thrilled with their kitchen or bathroom furniture I designed and had Rutt make for them. We've especially appreciate the furniture pieces that I designed and Rutt made for my designed spaces. I recall a walnut dining table sized to fit the kitchen I planned exactly; in a bathroom, I designed a mahogany storage piece that was highly decorative as well. In another kitchen, I created a stunning "pantry" cabinet that was painted an accent color and never betrayed it's real purpose of housing canned goods and boxed staples! The finishing is just outstanding, as well. 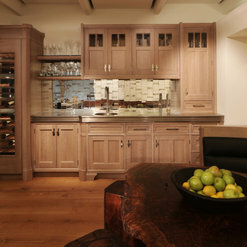 I love designing with Rutt HandCrafted Cabinetry! 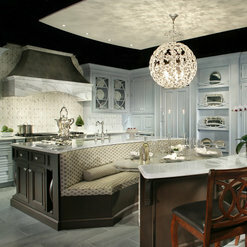 Hermitage has been a dealer for Rutt Handcrafted cabinetry for almost 40 years now. We have found one of the company’s past slogans to be so true: “Those who know, know”. They know and appreciate the quality and finesse of the Rutt product. 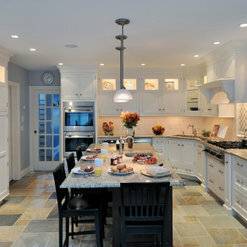 It is so rewarding to go to a client’s home with cabinetry of 20 – 30 years old and they still love their kitchen! Rutt continues to be an innovator of style with their latest additions of the Ruskin and Prairie families. They don’t just make a door but design the full package with moldings and details to create a complete and unique look. As they say, the difference is in the details. Rutt pays attention to the fine details from the planning stage all the way thru to the end product and it shows. It is a big reason why we have been a Rutt dealer for all these many years. We are currently in the planning stages of a new kitchen display and the entire design team is quite excited with all that Rutt has to offer. We have had the privilege of working with and selling Rutt Cabinetry for the past year, and are currently renovating our showroom using Rutt lines for a number of displays both traditional and contemporary. The craftsmanship that Rutt offers is unmatched in our experience, and the results are beyond exceptional. 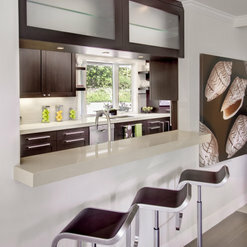 There is simply no other cabinet line that can match the quality and versatility of Rutt Cabinetry. Rutt HandCrafted Cabinetry stands in a league of its own for those individuals who have the most discriminating taste and the finest eye for detail and quality. As Rutt used to say in a past slogan, "Those who know, know." As design professionals who work with Rutt on many of our projects, we are constantly impressed with their ability to perform above and beyond the highest possible standards. Every aspect of these cabinets from the finish quality, to the structural integrity, to the micro-customization ensures that our clients are purchasing a product designed to last a lifetime. We have installed Rutt in some of the most historically and architecturally significant homes in the St. Louis area, and perhaps one of the best endorsements is to say that their product seems "at home" in these spaces. We have been designing and specifying Rutt Handcrafted Cabinetry for 55+ years and are the oldest dealer in the United States. 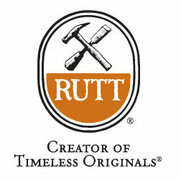 We are like family with Rutt and a true partner for 3 generations and approaching six decades. Rutt Handcrafted Cabinetry is the largest small custom cabinet shop in America that sets the standard and is the benchmark of the custom cabinetry industry. From their trend-setting new styles, to their top notch quality, construction and tolerances, they are truly set apart from the competition. Rutt builds their cabinetry from scratch in house and there is very little they can't do. As I am reminded time to time, as long as they can warrantee it, they will build it! Rutt Handcrafted Cabinetry is truly hand crafted to exacting specifications and level of detail both inside and out that is second to none. Rutt may have been known for their traditional styles in the past but today they are leading the industry with new transitional and contemporary door styles as well. Their finish work can't be duplicated and the engineering involved with some of their standard and custom work just isn't found anywhere else. I design custom pieces, bow front 7 drawer cabinets, mantel pieces with inlays, bow front true divided light mullion wall cabinets with side LED inset lighting. Who else can build these for my projects and consider them standard? They are simply the best. There are two different lines, Classic and Regency for just about every type of client we work with. We work with the best because they allow us to showcase the best of our designs. Nancy Dalton, Baywolf Dalton, Inc.
Rutt has been my cabinet maker for over 30 years. 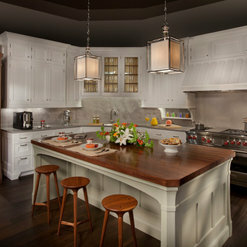 I have been creating wonderful kitchens with Rutt Handcrafted Cabinetry for well over 30 years. They make, indisputably, the finest hand made cabinetry in the world. 5 years ago, after many many years of representing various different cabinet brands in addition to Rutt, I made the decision to utilize Rutt exclusively. I was tired of the sub-par millwork and less-than-desirable attitude and support I received from my other cabinet sources. Rutt is and always has been a "Yes" company. Whatever it is, they can do it, do it right, and do it with a smile. The quality level and the beauty of the finished product is absolutely unsurpassed. The capability and flexibility of their offering is also unsurpassed. From Beautiful Traditional to Stylish Transitional, all the way to Sleekly Modern, Rutt can create it all. Add in their lifetime warranty, and there simply is no reason to use anyone else! Ever! Commented: Lovely kitchen - what s the name of this door profile?This is our Enfield door design, which features a simple square edge. Many label this type of door simple as &quot;shaker style&quot;. Best of luck with your project. 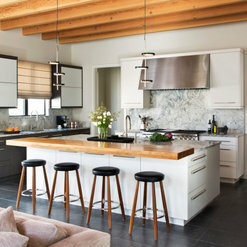 Commented: love the finish on the kitchen.Thank you for your question. This is our Java stain and the wood species used for this kitchen was mahogany. Please let us know if their is anything else we can help you with.